Authorities have identified a body found in the water near Morro Rock Saturday morning as that of Raymond Garland Reade, 74. 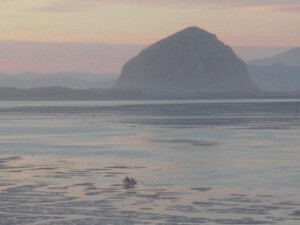 Reade was a resident of Los Osos. The San Luis Obispo County coroner ruled Reade’s death a suicide based on information found in a Morro Bay hotel room that the Los Osos man rented, according to the Morro Bay Police Department. Police officers, as well as firefighters and harbor patrol personnel, found Reade’s body after responding to a report of a body floating in the bay.